There really is a lot of evil in our world but there are also many beautiful things in what some people are and what some people do. Echoes of the Past - The Kingdom of Despair is a game where you need to overcome the evil one to rescue those who have been deprived of their beauty. The graphics and the sounds in this game worked together very well at presenting this obviously beautiful in the past but quite dark now place. Having been kidnapped you are going to travel through a strange world that was cursed by a sorceress. This kingdom is full of characters that have their beauty and talents taken away. It is your job now to restore their lives. You will have to think really hard as you try to solve their problems because then you are able to get amulets that might help you get back home. The graphics and the sounds in this game worked together very well at presenting this obviously beautiful in the past but quite dark now place. Both outdoor and indoor scenes look pretty good. You can choose one of the three modes of difficulty for yourself. Then you have a map that allows you to jump from place to place. You will have to find a lot of inventory and use it where it is needed. 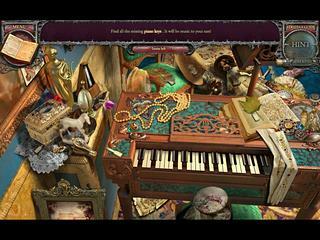 The hidden object scenes are given quite a lot of attantion here. They vary in how you need to search for items. Nothing particularly new but variety is nice. They also tried to make the mini games unique by adding some twists and makng some of them more challenging then the other. And you will be busy with finding potions as you proceed through the game. As you can see the game does have all the elements to be a great one. But it is always better to check the free version for the details that can make the difference. 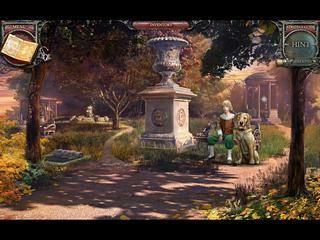 This is Echoes of the Past: The Kingdom of Despair review. Download this game here.